An accident can change your life in a matter of seconds. Concerns about what to make for dinner quickly shift to how long a recovery is going to take. When an accident was caused by the negligent actions of someone else, you need an attorney who will have your back. At The Law Office of Shawn C. Brown, PC, we treat you like we would if you were family. 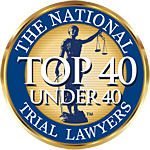 Our team is headed by one of the most respected and trusted trial lawyers in the San Antonio area. Our attorneys fully understand the depth and hard work necessary to obtain the best possible outcome for our clients. In many personal injury cases, the full extent of an injury is not immediately known. That is often why the insurance company is so eager to settle a claim quickly. Unfortunately, this can leave you without the resources to deal with the long-term consequences of an injury. Speak with one of our experienced attorneys before you sign anything. Call us 24/7 at 1-888-WE-FIGHT or 210-265-6290 for a free consultation. Hablamos español. From the moment you enter our office, located in the heart of San Antonio, you will understand why clients and their families rely on our lawyers and refer us to their loved ones for all their personal injury legal needs. Our experienced staff understands the pain and confusion that you may feel after an accident. We provide the highest level of respect and dedication and will be with you through each step of your personal injury case. No matter the size of your claim, each time you choose to work with us, you will receive the same level of care and compassion on which our office has built its reputation. If you or a loved one suffered a serious injury in a Texas auto accident, call 1-888-WE-FIGHT or 210-265-6290 to make an appointment for a FREE consultation. You can also email our firm for more information. Available 24 hours a day, seven days a week, our staff is friendly, knowledgeable and dedicated to providing elite-level representation.